Y B Mathur | I.K International Publishing House Pvt. Ltd. Chef Y.B. 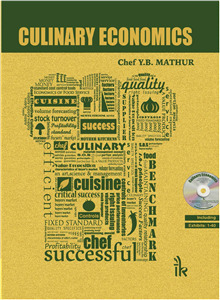 Mathur is one of India's senior-most chefs. He retired from ITC Hotels as Senior Executive Chef. He continues to lecture and train management trainees of ITC Hotels at the ITC Hospitality Management Institute. He is the Cookery Skills Expert for World Skills International, a global organization encouraging development of skills, skill competitions, as well as skills-led employment generation. In addition, he is actively involved in the national skills movement, a Government of India initiative, to skill 500 million functionaries in hundreds of skills-related fields by 2022, ?through the National Skills Development Corporation.